Have you been told by your medical practitioner that you should start singing? Although it seems like a fairly strange suggestion, it has now been shown that singing exercises can help alleviate the symptoms of obstructive sleep apnea. A recent clinical study conducted by Exeter University and the Royal Devon and Exeter NHS Foundation Trust, concluded that exercising the muscles in the soft palate and upper throat – the muscles that are often in weak in patients with obstructive sleep apnea – can greatly reduce the severity and loudness of snoring and cases of apneas during sleep. The study used patients who were considered to be chronic snorers as well as patients with mild to moderate sleep apnea. The best thing about the results? The singing exercises were easy and quick to do so that the majority of study participants were able to complete their exercises routinely without problems for 3 months. 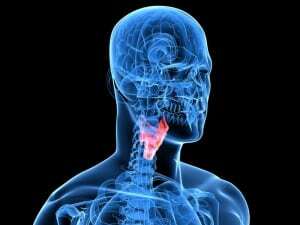 Basic exercises that help to strengthen the muscles in the throat are practised by professional singers and can be learned by anyone. And if you get good, you could even start your own local choir! Surviving Sleep Apnea is a participant in the Amazon Services LLC Associates Program, an affiliate advertising program designed to provide a means for us to earn fees by linking to Amazon.com and affiliated sites.